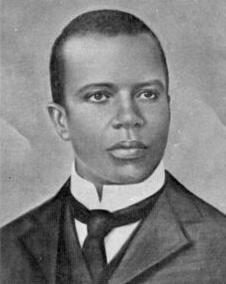 Born in Texas in 1868, Scott Joplin was one of the originators of the new Ragtime music and certainly the best-known of such composers. Like many accomplished musicians, he started early learning the piano from age 7, and was taken onboard by a music teacher who helped to broaden his musical education. Joplin left home while still a teenager and worked as a pianist in the Southern States learning many of his skills on the job. The areas he worked in were the cradle of music where cultures met and mixed, and musical styles combined and expanded. Joplin then settled in St. Louis for a number of years, playing the cornet in a band and forming his own vocal group with his brothers for which he started writing songs. He also met Arthur Marshall (with whom he was later to co-write the Swipesy Cakewalk), stayed with his family for a time, and the pair attended higher musical education classes. Like many other ragtime composers, his main trade was playing piano in honky-tonk bars and clubs. It was in 1898 that Joplin sold his first rag called "Original Rags" and soon afterwards he found a publisher, John Stark, for his The Maple Leaf Rag. This was the real turning point in his career, becoming an instant hit, and enabling Joplin to sell much more in this new medium which had suddenly left the seedy bars and become respectable. Joplin then went on to write a large number of piano rags over the next few years. In addition to writing his own music, Joplin spent some of his time passing on his experience to other composers. He had a number of associates, students and acquaintances who he helped or encouraged in various ways, sometimes co-writing projects. In addition to Arthur Marshall whom we mentioned earlier, he also co-composed some rags with Scott Hayden. He also met another ragtime composer James Scott, and introduced him to his own publisher. James Scott's first rag with the new publisher was the Frogs Legs Rag which was a big success. Joplin had further ambitions beyond simple piano rags, but it is fair to say that these forays had limited success. He wrote some folk ballet music, and a couple of ragtime operas. He published his second opera "Treemonisha" at his own expense, but it wasn't turned into a successful performance. Quite naturally, it seems that Joplin was disillusioned by this failure and that perhaps dampened his confidence when it came to other musical ventures. He has left a substantial legacy of ragtime music, and it was his music including The Entertainer, Solace and The Easy Winners as used by Marvin Hamlisch in the movie The Sting which instigated a strong revival of interest in ragtime music later in the 20th century. Joplin's rags were also used in the sequel "The Sting 2" adapted by Lalo Schifrin and also in the movie "Pretty Baby" which included Swipesy and several other rags. The TV series "Westworld" has also used some of Joplin's rags including Peacherine Rag in the soundtrack. There is also a film about Joplin himself with the lead role played by Billy Dee Williams, and we recommend the book Scott Joplin and the Age of Ragtime which gives an insight into the composer and the emergence and influence of Ragtime music. And here's an interesting interview on youtube with Michael Boatman (who plays Scott Joplin) and Michael Walker (Musical Director) in a new musical called "The Tin Pan Alley Rag" which imagines a meeting between Scott Joplin and Irving Berlin. See also our article about Ragtime Music which looks briefly at the history and influence of ragtime music, while also listing the composers associated with ragtime including of course Joplin himself. There is an annual Scott Joplin Ragtime Festival held in Sedalia, Missouri where Joplin lived and worked for many years. 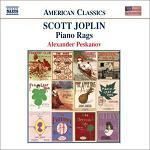 See www.scottjoplin.org for more information.